Sponsors and supporters of this years event pictured against the backdrop of West Sands Beach. Several businesses in St Andrews have once again come together to support the annual Chariots of Fire Beach Race, taking place on Sunday, June 2 on West Sands Beach. With support from Thorntons Solicitors, Eden Mill, Jannetta’s Geleratia and Fisher and Donaldson, race entrants are able to enjoy bespoke finishers medals, decadent fudge doughnuts, thirst quenching beer and (for the children) delicious ice cream. 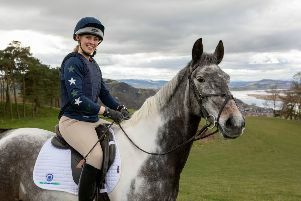 Ben McLeod, Chariots 2019 Race director said: “It’s wonderful to have the backing of so many of St Andrews’ businesses and a real endorsement of the event. Through their support the runners - both local and from further afield, not only get to sample running on our pristine West Sands but also get to sample some of the delicious and iconic products we have available to us here. Proceeds from the event are set to be split again between the RNLI who provide on-duty volunteer lifeguards on West Sands between May and September to ensure visitor safety, and two St Andrews-based charities - Families First and Home Start. Last year’s race was so succesful it raised close fo £7000 for these causes. 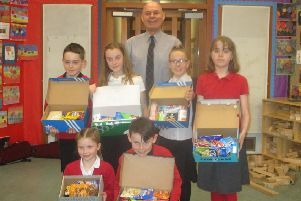 Cupar Foodbank thanks the kids of Castlehill Primary for their support.